Ed Miliband has broken with decades of tradition and spoken positively about English identity and even mentioning an English Parliament. Ok, he dismissed it out of hand because he says there isn't support for one but he's the first LibLabCon leader to follow UKIP's lead and take the subject seriously. Labour has been struggling in England in recent years, despite a revival thanks to the ineptitude of the ConDems and has been navel gazing for some time trying to figure why the country they milked for over a decade to buy votes in Scotland and Wales might not be so keen on voting for them. It has recently occurred to them that describing English people as "a race not worth saving" and suggesting that people describing themselves as English is worrying and is about race, not culture unlike Britishness might be a contributing factor to their unpopularity. 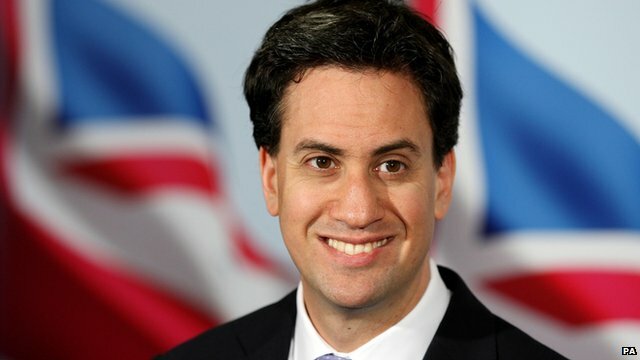 While Ed Miliband is now apparently comfortable with us describing ourselves as English (as long as we say we're British as well) he isn't happy with the idea of an English Parliament. He says that an English Parliament means more politicians and that there isn't support for an English Parliament so instead we should make do with more powers for local authorities. Where to start? The "more politicians" myth is as good a place as any. There are 650 British MPs, 117 of which are elected in Scotland, Wales and Northern Ireland where they have less than half the workload of an MP elected in England because their devolved representatives have more responsibility in their constituencies than they do. If an English Parliament takes away most of the British Parliament's work, why on earth would we keep all 650 British MPs? The number of British MPs could easily be halved and it's a pretty damning indictment of the British political class that the thought of reducing their number doesn't even cross their minds. As for there being no support for an English Parliament - what he means is there is no support for an English Parliament in his own party. An Ipsos Mori/British Futures poll in January found that 52% want an English Parliament. An ICM/Power 2010 poll last year found that 68% want an English Parliament. A YouGov/Jury Team poll in 2009 found that 58% want an English Parliament. A Populus/The Times poll in 2009 found that 41% want an English Parliament. An ICM/Telegraph poll in 2007 found that 45% want an English Parliament or to ban MPs not elected in England from voting on English matters. An ICM/CEP poll in 2007 found that 67% want an English Parliament. A YouGov/Sunday Times poll in 2007 found that 72% want an English Parliament. There are more but that's enough to make the point - all of them show a majority in favour of an English Parliament. His suggestion that giving local authorities in England more power would be equivalent to the Scottish Parliament or Welsh Assembly is frankly insulting. A town council could never compete with a national government and it certainly couldn't represent the local population and businesses on the internationals stage. It's a ridiculous suggestion and a half baked idea motivated by political greed, not a desire to do what's right by the English.